Casino International | What goes up . . .
Casino International > Latest News > Asian News > What goes up . 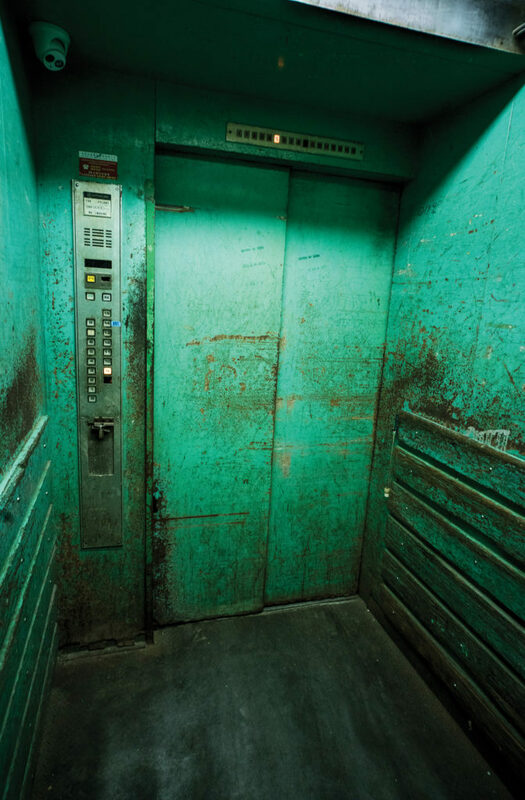 . .
A lift incident coming to light puts the spotlight on the government’s slow progress in setting up a regime for the examination and maintenance of elevators and escalators and a deprived pool of human resources. The elevator has become a necessity of modern life with more and more skyscrapers dotting city horizons. In Macau, where shining casinos and resorts prevail, the glitter often hides the grime. It has taken a recent accident to shed light on the safety concerns about elevators and escalators here, problems that have been left unaddressed for years due to a lack of mandatory examinations and a dearth of qualified professionals. Following a major elevator accident in nearby Hong Kong some years ago, the Macau authorities launched the city’s first guidelines on safety examination and approval procedures for elevators and escalators in private projects in April 2013. But questions remain on how effective these guidelines are. A 12-year-old boy’s right thigh was fractured last month in a residential project in the northern district – Long Yuen Building – squeezed by malfunctioning lift doors. According to local think tank Synergy of Macau the safety certificate for said elevator in Long Yuen, ensuring the equipment had met the standards laid out in the guidelines, had expired end-February, prior to the accident. 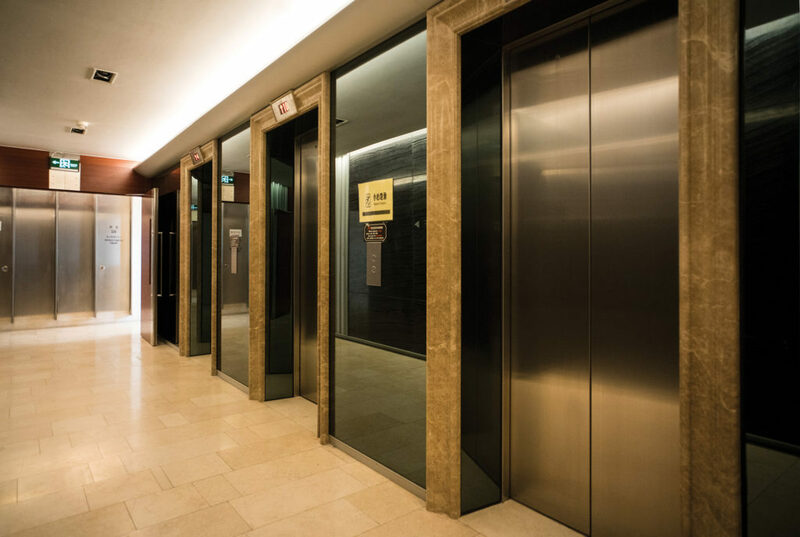 The guidelines spell out that an elevator must be inspected annually by a third party on a voluntary basis, who will issue a safety certificate for the equipment that has to be registered with the Land, Public Works and Transport Bureau. The government will then examine five per cent of the certified lifts but it will not sample any uncertified equipment. Data from the local think tank and engineers groups reveal that nearly 90 per cent of some 5,800 lifts and escalators in the city were examined and certified in the first year of the implementation of the guidelines. The figure went down to only 20 per cent of some 7,000 in 2016 in the territory and slightly rebounded to about 30 per cent of some 8,000 elevators and escalators last year. Synergy of Macau additionally found that only one of the seven certified lifts it visited across the Macau Peninsula, Taipa and Coloane was registered with the authorities in accordance with the guidelines. The lack of annual examination of elevators might be due to the cost – about MOP2,000 (US$250) – according to Chui Ming Man, president of the Property Management Business Association of Macau. In Hong Kong, the Lifts and Escalators Ordinance mandates owners of lifts have their equipment thoroughly examined and certified in safe working order by registered engineers before being put into use every year, while the duration for escalators is every six months. Besides the mandatory inspection, Mr. Chui noted that the government should enhance public awareness of the significance of maintenance and examination of electrical and mechanical equipment. Legislator and engineer Joe Eddie Wu Chou Kit attaches great importance to the establishment of legislation on elevators and escalators, as the current guidelines are non-legally-binding: “The maintenance and examination costs for equipment like elevators are not low, and the property management fees in many residential projects might not be able to cover the cost,” he said. “Different components in the lifts may wear due to high usage rate…leading to accidents,” the legislator noted, adding that there should also be the set-up of a new government department in charge of electrical and mechanical services in both the public and private sector. The government claimed as long ago as 2002 that legislation was forthcoming on the safety standards and certification of elevators and escalators – which has yet to materialise more than a decade and a half later. In the wake of the 2013 guidelines, the Administration reiterated it would pave the way for relevant legislation, including a qualification scheme for manpower in the sector. Secretary for Transport and Public Works Raimundo Arrais do Rosário said last May that the draft bill would be completed last year. The land and public works bureau said in a statement that the first draft of the bill has been completed and that it is now consulting with the industry concerning the maintenance and examination of lifts and escalators, requirements for persons undertaking the works, and relevant penalties. “Most elevators in Macau have been registered with the authorities once,” the Bureau said. The annual examination is not mandatory but voluntary now, as is the display of safety certificates in lifts and escalators, requiring co-operation from residents and the industry, it added. “If the owner[s] of any elevators find a lack of safety certificates about their equipment, they should urge the maintenance company they have commissioned to register [the equipment] with the authorities,” the statement added. The legislation itself, however, cannot resolve all the safety problems amid the deprived manpower in the city. According to the Macau Elevator and Escalator Employees Association, an affiliate of the Macau Federation of Trade Unions, the city’s largest labour group, there are fewer than 10 certified elevator and escalator engineers and just 100 local staff for maintenance. “There are more non-resident workers involved in the maintenance work now but they might not have as much expertise as the local staff and their practices might not live up to the established standards,” said Ieong Wa Meng, vice-president of the Association, adding most local staff working in the industry are aged between 50 and 60. Echoing the call of legislator Wu, Ieong thinks the city could set up a public body specifically in charge of elevators and escalators, similar to the Electrical and Mechanical Services Department in Hong Kong. With over 3,800 residential, commercial and industrial buildings aged 30 years or more in the city, the authorities have launched three schemes to provide financial support in terms of subsidies and loans for the maintenance of the premises. According to the Housing Bureau, the three schemes had provided over MOP29 million in 195 cases with regard to the examination and maintenance of elevators as of last July. “While legislation on mandatory examination and maintenance could help detect the safety problems…the government could also put forward a new [financial] scheme, encouraging owners of old buildings to replace their dilapidated elevators to prevent any accidents,” he concluded. What does Hong Kong do? The Lifts and Escalators Ordinance of the Electrical and Mechanical Services Department (EMSD) in nearby Hong Kong has introduced a series of measures to ensure the safety of equipment from a registration regime to regular examination to penalties for offences.